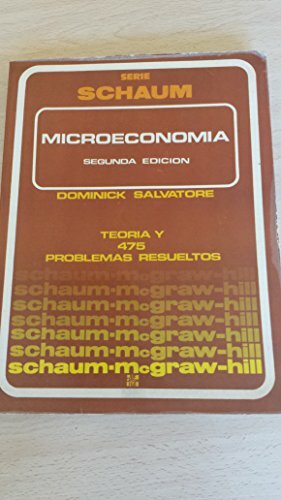 Master microeconomic theory with SchaumÕsÑthe high-performance study guide. It will help you cut study time, hone problem-solving skills, and achieve your personal best on exams! Students love SchaumÕs Outlines because they produce results. Each year, hundreds of thousands of students improve their test scores and final grades with these indispensable study guides. Get the edge on your classmates. Use SchaumÕs! If you don't have a lot of time but want to excel in class, this book helps you: Brush up before tests; Find answers fast; Study quickly and more effectively; Get the big picture without spending hours poring over lengthy textbooks. SchaumÕs Outlines give you the information your teachers expect you to know in a handy and succinct formatÑwithout overwhelming you with unnecessary details. You get a complete overview of the subject. Plus, you get plenty of practice exercises to test your skill. Compatible with any classroom text, SchaumÕs let you study at your own pace and reminds you of all the important facts you need to rememberÑfast! And SchaumÕs are so complete, theyÕre perfect for preparing for graduate or professional exams. Inside, you will find: 867 solved problems covering every aspect of microeconomic theory courses, with step-by-step solutions; Hundreds of additional practice problems, with answers supplied; Clear explanations of demand, supply, and equilibrium; An easy-to-understand overview of consumer demand and production theory; A practice midterm and final. 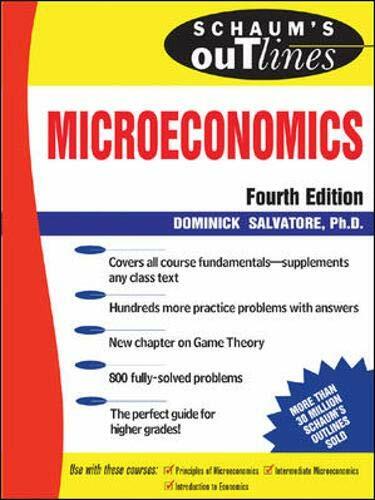 If you want top grades and thorough understanding of microeconomic theory, this powerful study tool is the best tutor you can have! 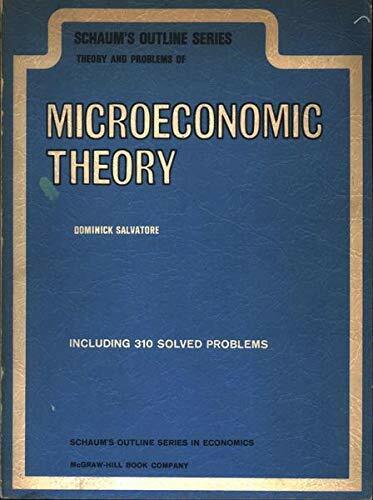 Chapters include: Introduction; Demand, Supply, and Equilibrium: An Overview; The Measurement of Elasticities; Consumer Demand Theory; Advanced Topics in Consumer Demand Theory; Theory of Production; Costs of Production; Advanced Topics in Production Theory; Midterm Examination; Price and Output Under Perfect Competition; Price and Output Under Pure Monopoly; Price and Output Under Monopolistic Competition and Oligopoly; Recent and Advanced Topics in Market Structure; Input Pricing and Employment; General Equilibrium and Welfare Economics; Final Examination.